One of the most talked about films in the 2016 season was La La Land. 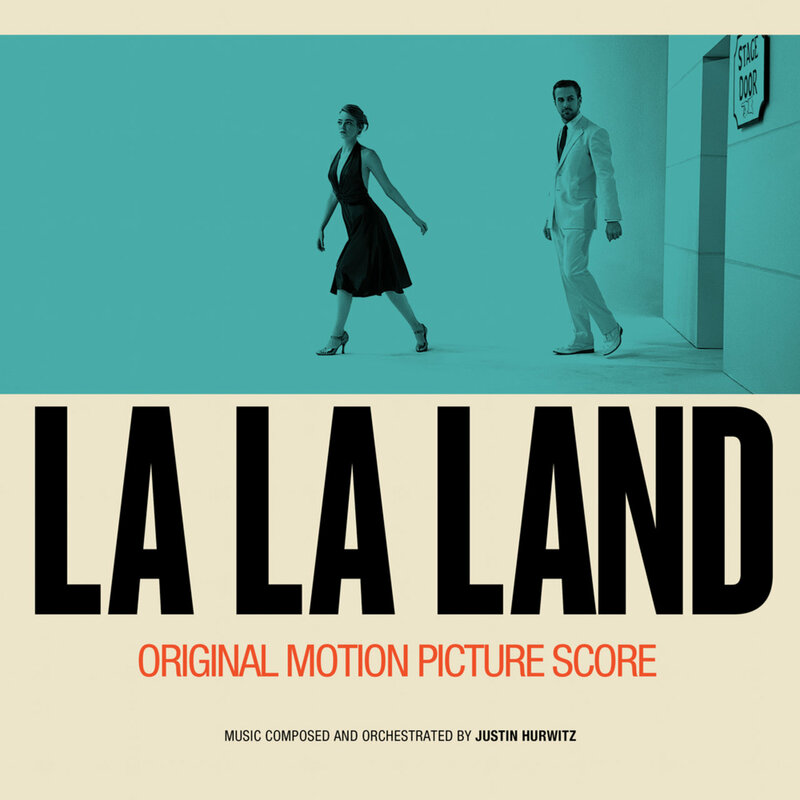 Director/Writer Damien Chazelle teamed up again with composer Justin Hurwitz after their breakout film Whiplash (2014). Music is just as much a major component in this film, with large musical numbers harking back to the old Hollywood studio musical days. This story tells the industry ups and downs of Sebastian (Ryan Gosling) the jazz pianist looking for a club of his own and Mia (Emma Stone) an actress wanting her big break. The music and songs weave the story together and there are two album releases - soundtrack with all the songs, jazz source cues and score highlights, and the score album with no songs. Naturally, there is a bit of overlap between the two albums with tracks appearing on both. For the full experience, you'd have to make your own film arrangement playlist. For now, I'll look at them separately but write about how the thematic material from one album expands into the other. The melody from A Lovely Night appears through the score, while Mia & Sebastian's Theme is the love theme heard prominently in the film. Another Day Of Sun starts the film off with a large production number on the freeway. The infectious toe-tapping song introduces us to the Hollywood Theme and introduce the jazz instrumental influences, solo vocalists, big band large orchestra, samba feel, and large choral arrangement. Someone in the Crowd continues the Hollywood big band style with fast paced action on screen with Mia and roommates dressing up to go on the town. After a dance break and softer/slower section, the music roars back with a big chorus finish. A Lovely Night is the song that Mia and Sebastian flirt through. Hurwitz's song echoes the styles and harmonies of old tunes, and the lyrics reflect the "totally not in love with you" style from 1940-1950s musicals. The dance break gives orchestra time to show off with cute musical syncing, also fitting for that nostalgic feel. 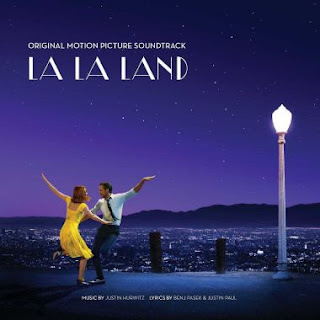 City of Stars straddles the line of score as and song as the melody represents Sebastian's Theme through the film. This version features piano, other orchestral bits and Sebastian singing longingly. The next reprise of City of Stars is a duet and the lyrics represent their budding romance. The piano accompaniment is stronger, but still features the minor key pattern - unusual for a tune between lovers. It seems that this song is the breakout of the film, mainly because its thematic usage. Start a Fire sounds like it should be out of place in this album, and it's on purpose. It's a John Legend song, and he appears in the film as a band mate of Sebastian. Funny enough, the characters are supposed to hate the song, but it's another catchy song for us. The Audition (The Fools Who Dream) is Mia's standout song. It comes in the film where we almost forget it's a musical - her song is spun out of dialogue as she sings it tearfully right to the camera. I'll also add City of Stars (Humming) to the song list, it's exactly that - a guitar and humming rendition of City of Stars. Mia Gets Home is a very short cue, but shows off a hint of Hurwitz's jazz instrumentation - vibraphone, woodwinds, piano and celeste. Bathroom Mirror/You're Coming Right? is upbeat with guitar, piano and drum set and feels like an extension of his song material. Classic Rope-a-Dope is a bit of Mia's Theme on vibraphone with a few other instrumental flairs. Mia & Sebastian's Theme introduces their Love Theme, a gentle waltz on piano which is expanded as a large scale piano solo. Stroll Up the Hill features more vibes, celeste and piano in this short flighty cue. There The Whole Time/Twirl continues the previous orchestration and quotes moments of A Lovely Night. Bogart & Bergman is an airy rendition of Mia's Theme heard later in The Fools Who Dream. This charming arrangement features woodwinds on the melody, cascading celeste and pizzicato strings among others. Mia Hates Jazz features Sebastian's Theme on guitar. Herman's Habit is a full-on jazz tune, fitting right into the jazz club they visit. Rialto At Ten seems like the same style jazz tune, but a chunk of it is the melody from A Lovely Night. The short cue Rialto repeats the same A Lovely Night refrain on vibes. Mia & Sebastian's Theme (Late for the Date) is a piano-led version of the theme, building to a thrilling statement of the theme in the string section with piano rippling arpeggios in the background. Planetarium is one of the standout moments of the film as a result of the fanciful imagery and music. At the beginning, flutes play off of each other before Mia & Sebastian's Theme takes off into a dreamy dancing waltz. 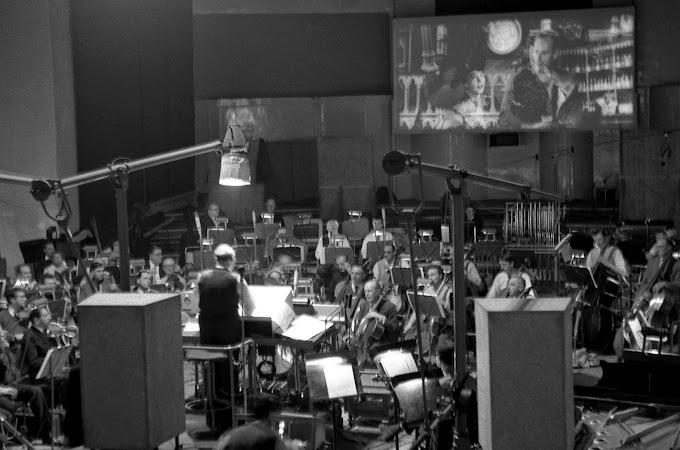 The orchestra builds several times before the fantastic full Disney princess-style statement of the theme. The clarinets twirl the characters down (literally) with some playful musical banter between pizzicato strings and woodwinds that lead to a large final note. Holy Hell is another short cue with flitting woodwinds, light strings on a charming melody. Summer Montage/Madeline brings the Lovely Night into a full jazz/big band setting giving the ensemble members a chance to shine. It Pays brings the Hollywood theme (Another Day Of Sun) to the jazz setting with a killer sax solo. Chicken on a Stick brings the Hollywood theme into another arrangement with vibes and celeste taking the majority of the melody. City of Stars/May Finally Come True is the only song to make the score album, but this extended version contains an orchestral interlude. Chinatown is light underscore with framework hints of the Hollywood theme under the celeste and vibes. Surprise is a jazz number with trumpets in the foreground. Boise uses the City of Stars melody, although this is sped up and swinging. The piano carries the tune, with a saxophone solo adding a fantastic layer. Missed the Play has a very paused rhythm with an appearance of Mia & Sebastian's Theme. It's Over/Engagement Party has an extended intro on the score album, and then goes into a piano-led somber version of the dance break from Someone in the Crowd, making this version stand out compared to the happiness of earlier. In its short time, The House In Front of the Library references Mia's Theme and Sebastian's Theme. You Love Jazz Now returns us to the chorus and verse of A Lovely Night while Cincinnati fits as jazz club source music. Epilogue represents one of the highlights of the film letting the music, direction, choreography, costumes, art direction, et al really shine. A 7-minute medley of the film's music, it starts with Mia & Sebastian's Theme and the lush, waltz variation before going into the Hollywood/Another Day Of Sun material and the Someone in the Crowd interlude before transitioning to Fools Who Dream (Mia's Theme) which almost becomes a different tune by changing the orchestration and it feels sunnier and more lilting than ever before. A jazz rendition of Fools Who Dream takes over, with a short trumpet cadenza-like passage. We return to Mia's Theme and when the chorus arrives, it becomes a thrilling magical moment. City of Stars and the Love Theme are reprised, but the piano seems distant and bare. The End is one more glimpse at the Love Theme with the choir and orchestra crescendoing to a final chord. Credits brings us an orchestral arrangement of Another Day Of Sun with a larger sound, vocals and a few trumpet solos. This cue is by far one of the catchiest tunes to walk out of a theater to. The album ends with Mia & Sebastian's Theme (Celesta), with the celeste almost sounding like a dreamlike music box. This score is one of the only one like it this year. Some listeners have made comparisons in film and score to The Artist which was also a critics darling in 2011. That score felt more pastiche than Justin Hurwitz's work on this film. One thing that I always look forward to is song-to-score continuity. When one composer tackles it all, it can flow evenly between and the parts mean more as a whole. For example, the Alan Menken scores of the early 1990s, use this method which also takes its inspiration from the Broadway tradition. In this film, Hurwitz also takes the jazz source music into the same level as original score (and also sometimes sneaking in a major melody in). He's matured a lot since Whiplash (2014) with Tim Simonec writing a bunch of the in-film jazz music. The score cover credits Hurwitz as "Music Composed and Orchestrated by", which is a great to see with the crafting of the orchestra is essential to this film. The instrumentation makes it not sound like any recent score. The jazz arrangements are also fantastic and played by some of the best (Randy Kerber as featured pianist, Wayne Bergeron on trumpet and Dan Higgins on sax, among others). 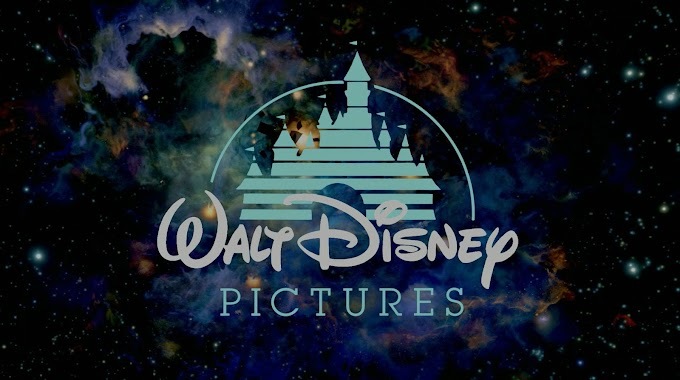 Credit also goes to lyricists Benj Pasek and Justin Paul (known also for their Broadway musical work). So many lyrics fly by and it's worth seeking them out to catch them. In this throwback/homage/nostalgic film of classic Hollywood and French musicals, the music carries a lot of weight. I found Justin Hurwitz's music sticking the landing at each moment, crafting a handful of melodies and utilizing them from the saddest moments to the brightest dance breaks and all the romance in between. As the film sweeps at just about every awards ceremony in 2016-2017, I'm thrilled to see lots of recognition to this excellent score.